Large scale storage is the storing of energy produced by the utility grid at times when supply exceeds demand until demand rises. It is essentially the idea that the whole electrical grid should be connected to a lot of really big batteries. The basic idea works very much like a savings account. You put away money ever month because you make more than you need, but then at some point you need a lot of money for a big vacation or to put a down payment on a house, and so you withdraw that money then. The way the current electrical grid works is that energy is created as it is needed. It would be like working 30 hour weeks and then working 24/7 the week you were about to close on your new house. Odds are, you aren't putting in your best work that week. This technology is important for making the grid more efficient and to help incorporate clean energy sources such as Wind, Solar, and Nuclear. 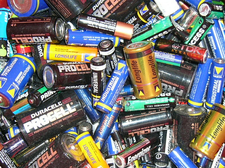 A number of different technologies can be used for large scale energy storage. Pumped Water - This technology is actually in use today and involves pumping water up into a reservoir when there is excess energy and then essentially having a hydroelectric power source when you need additional power. Compressed Air - This is essentially bottling excess energy. You run a compressor to pump air into an enclosed area, whether that's underground or an old mine or geological formation, and let the air out to turn generators when you need the extra energy. Thermal - Most of our power now relies on using steam to turn turbines. We could store extra energy as heat and then produce steam from that heat as needed. Batteries - There are new battery technologies that are showing promise for being used at the base of a wind turbine, for example, to provide more consistent output. Flywheels - These are big wheels that an electric motor spins when there is extra energy. The energy is then turned back into electricity as the motor runs backward, slowing down the wheel and producing electricity. Hydrogen - This involves using electricity to split water into hydrogen and oxygen and then recombining them to produce electricity and water when there is high energy demand.